It was Jimmy Carter who made the Iowa caucuses important, and now, 40 years later, one of his aides, Richard Moe, reflects on Carter’s legacy. Scholar Elaine Kamarck reflects on how people are now getting their political news. And, a new book by an ex-Republican hatchet man says the Bush family is a criminal enterprise. Bill Press interviews the author, Roger Stone. 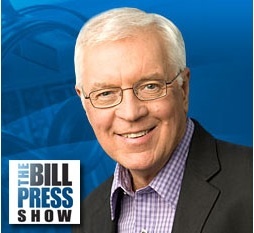 January 30, 2016 Former Carter aide Richard Moe on the former president’s legacy, political scholar Elaine Kamarck on the changing news media, and Bill Press interviews Bush-bashing ex-Republican Roger Stone. Richard Moe The Iowa primary is now all-important in presidential politics, and Jimmy Carter made it that way. Former aide Richard Moe says the 39th president is finally getting the praise he deserves. Elaine Kamarck Elaine Kamarck of the Brookings Institution says the problem with getting your news from social media is that you simply choose what you want to see, not necessarily what you need to see. Roger Stone Bill Press interviews author Roger Stone, who makes provocative charges about the Bush family. 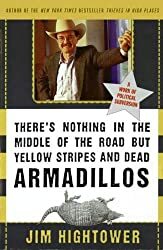 Jim Hightower Something is happening. Following the Republican debates, we hear from Michael Genovese, a prominent presidential historian who says we are in an era of leadership by intellectual and moral dwarfs. David Grusky , a Stanford sociologist, reveals that half of a child’s future economic success depends on where the stork drops her. And House Democratic whip Steny Hoyer tells Bill Press about the outlook for another government shutdown. September 20, 2015 Historian Michael Genovese bemoans the lack of strong leaders … sociologist David Grusky says America is not as upwardly mobile as we think … and Bill Press interviews Steny Hoyer about another government shutdown. Michael Genovese Professor Michael Genovese is a prominent presidential scholar, and he says President Obama’s recent use of executive power is a result, in part, of a weak Congress better suited to the 18th century than the 21st. David Grusky America has always prided itself on social mobility, but a new book by sociologist David Grusky says we are less upwardly mobile than most other well-off countries, and he says it is because some children might have chosen the wrong parents! Steny Hoyer Bill Press and House Democratic whip Steny Hoyer discuss the outlook on another government shutdown. New numbers show a strengthening economy, but why does it skip so many American workers? We talk today with two experts about middle-class values and the value of the middle class. Union president David Rolf notes the irony that this is one of the best times to be a consumer and the worst time to be an employee. Economic analyst David Madland shows that trickle-down economics has failed and that ultimately facts will trump special interests and ideology. And Minnesota Senator Amy Klobuchar talks with Bill Press about her new book. August 30, 2015 With Labor Day coming up, union president David Rolf and economic analyst David Madland explain how a strong economy relies on the middle class. And Bill Press interviews Senator Amy Klobuchar. David Rolf Union leader David Rolf says even Republicans can be persuaded that America will be better off with a strong middle class. But it’s the plutocrats and their hired guns standing in the way. David Madland Economic expert and author David Madland says it’s a strong middle class that makes democracy work and even Republicans can be persuaded of that. Social Security expert Nancy Altman argues that the program is not only solvent but ought to be expanded. In this holiday season, religious philosopher James Skillen reflects on the connection between faith and politics in America. And law professor William Forbath says the Constitution is not only a legal charter but a political AND economic document, as well. November 30, 2014 Altman says Social Security should be expanded, Skillen reflects on faith and politics, and Forbath talks about the liberal foundations of Constitutional originalism. Nancy Altman Nancy Altman is an expert on Social Security, and she argues in a new book that not only is the system solvent, it can and should be expanded. James Skillen Not many people these days have a high opinion of politics, but religious philosopher James Skillen says there is a strong link in American history between faith and the higher principles of governing. William Forbath When we think of constitutional “originalism,” we tend to think of the Scalia wing of the Supreme Court. But law professor William Forbath tells us that the first originalists were liberals. 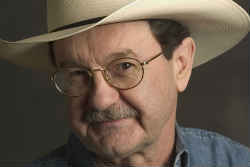 Jim Hightower Avoid Amazon's "Cyber Monday," and buy local.